No matter what lenders try to do to simplify the process, selecting the right mortgage continues to be a problem for most home buyers. Here are the key elements you should consider before getting a loan: How much risk are you willing to take, and how long do you expect to live in your home. If you’re a risk-taker, then you might want to take advantage of the low interest rates featured on some adjustable rate mortgages (ARMs). If you’re into stability, fixed-rate loans are probably your best bet. But knowing how long you plan to stay in your home is key to unraveling the mystery behind the loan process. If you only plan to stay 5 to 7 years, you’ll probably do better with an ARM, since an ARM (in a worst-case scenario) and a 30-year fixed-rate loan generally cost the same thing over the first 5 to 6 years of a loan term. Finally, it’s up to you to research what closing costs and fees are being charged in your area. Contact several of the largest lenders and see what they’re offering. Lenders are more flexible than you might think, but be prepared to do all of your negotiations before you sign your loan application. Once you’ve signed it, it’s a done deal. Here’s what you need to know before you step foot inside your lender’s door. Fixed-rate loans. Undoubtedly, this is the loan your parents took out, as it was just about the only reasonable one available when they bought some 30-40 years ago. Fixed-rate loans are characterized by their stability. You’ll pay the same rate of interest each year, throughout the life of the loan, no matter what happens in the general economy. That translates into the same mortgage payment (which may drift upward if you have a real estate tax and insurance escrow) each month. So if you lock in a 30-year fixed-rate loan that carries an interest rate of 8 percent, that’s what you’ll pay, even if interest rates go to 12 percent. If interest rates sink below 8 percent, you can always refinance. Fixed-rate loans come in a variety of lengths. You can get them in 10-year, 15-year, 30-year, and 40-year varieties. Best bet: if you can afford the monthly payments, go for the 15-year loan. 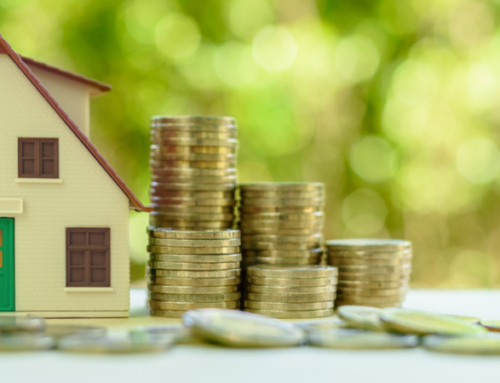 Not only will you build up your equity quickly, but you’ll save tens of thousands of dollars in interest over the life of the loan. And each lender’s ARM offerings may be slightly different. First, ARMs come in a variety of lengths, including 1-year, 3-year, 5-year, 7-year and 10-year terms. The number indicates how often the rate adjusts. So a 3-year ARM will adjust it’s interest rate every 3 years. With some new ARM products, like the 10/1, the interest rate stays the same for the first ten years, and then adjusts yearly after that. Make sure you understand what kind of ARM you’re getting. Two-Step Loans. These hybrid loans combine a little bit of the risk of an ARM with the steadiness of a fixed-rate loan. They come in a couple of different formulas, including a 5/25 (pronounced five-twenty-five) and a 7/23 (seven-twenty-three). Basically, your starting interest rate is a bit below a standard fixed rate loan. Your interest rate is frozen for the first five or seven years, after which the loan converts either into a standard fixed-rate loan or a 1-year ARM. The loans are amortized over the entire 30-year period. No one expects you to pay off this type of loan in five or seven years. Balloon Loans. Although balloon loans come in a variety of lengths, they’re basically short-term loans. At the end of the loan term, the lender expects you to pay off the entire remaining loan balance. Depending on the circumstances, some lenders will simply refinance the loan. If they won’t, you can simply find another lender. It’s not uncommon to see 3-year, 5-year, and 7-year balloons. You’ll see a lower interest rate on a 3-year balloon than a 7-year balloon.